Having a home inspection for your Los Angeles or Orange County property can let you know about the information about the state the home or property. This allows the buyer to know about expenses for repairs and any maintenance the home will need at once and in the future. When a buyer is not in agreement with a home inspection it gives a last chance to step away from the purchase offer. This is important and could in the end save you lots of money. Another benefit of having a home inspection for your Los Angeles home or Orange County property is that the inspector can provide you with safety concerns like carbon monoxide, mold and radon which all residential property should be checked for. Always ensure that the purchase agreement for the home you want to buy states that if any safety issues are detected you can cancel your purchase offer. 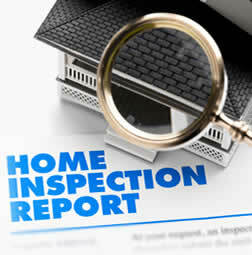 An expert home inspection will let the buyer know if rooms, modified garage spaces or underground basements were finished without the correct permits or were not finished using the proper code requirements. If a residential property has illegal non permitted room additions it can change the insurance coverage, taxes and the complete value of the home or property. Newer homes that have systems that are not installed to required code will now become the new property owners responsibility to take care of.